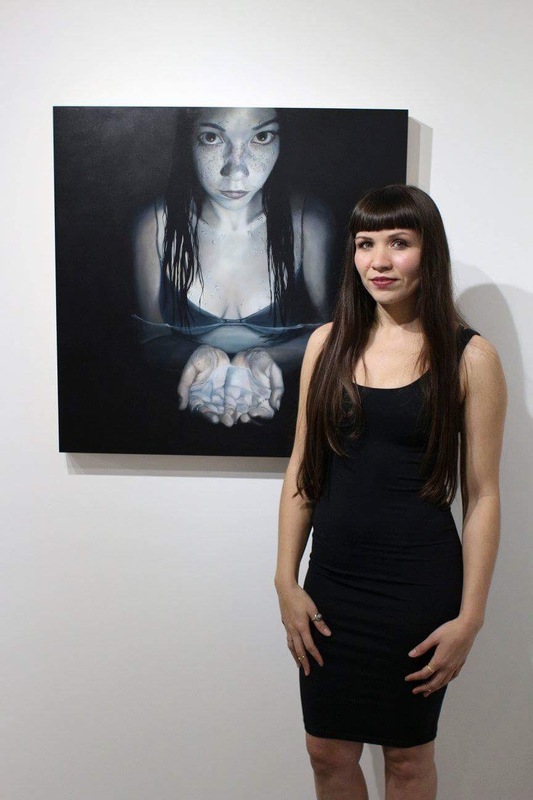 Kati Williams is a figurative artist, born in Austin, TX in 1983. Her interests in the arts began at a young age listening to classical music with her father and later becoming a classically trained violinist. She also began sculpting and drawing figuratively at a young age, which eventually grew into an interest in the velvety surfaces and smooth glazes of Baroque paintings. Her area of focus shifted from sculpture towards oils and the painting techniques favored by the Old Masters. She found sculptural elements in the intricate processes of layering glazes and pulling light forms out of a dark surface. Her reverence for painting and sculpture eventually led her to receiving her BA from the San Francisco Art Institute in 2008. Since that time she has shown her work nationally including New York, NY, San Francisco, CA and Austin, TX.